I am very much a purist on many things. For example, I only drink black unsweetened tea (how I survived 6 years living in the south I'll never know...tea there only comes sweet and disturbingly sweet), I only like coffee (when I drink it) simple and certainly not some odd concoction and throw whip cream on it. Eek! I have always been a huge fan of water with a lot of stuff in it. When I was a medical device sales rep they put us up in this incredible hotel in San Diego, CA (only to lock us in board rooms so we never saw the light of day) that had fancy water coolers in the gym filled with equally fancy things: one was cucumber themed and the other was citrus themed. Any time I have ever had a spa experience I keep an eye out for the water with lots of stuff in it. It's just terribly fun not only to look at but to taste. It's subtle and simple. 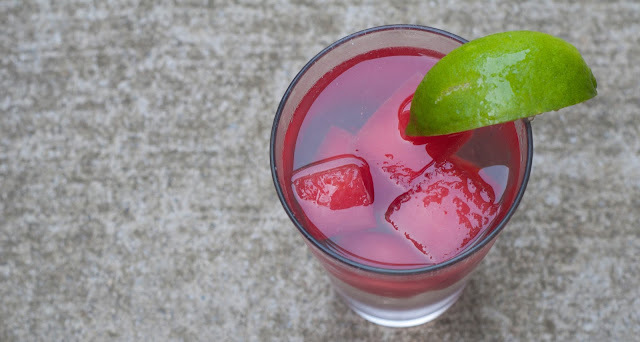 And for my favorite fancy water concoction....Watermelon-Cube Lime Water! Cut watermelon into cubes and freeze in a single layer on a cookie sheet over night. 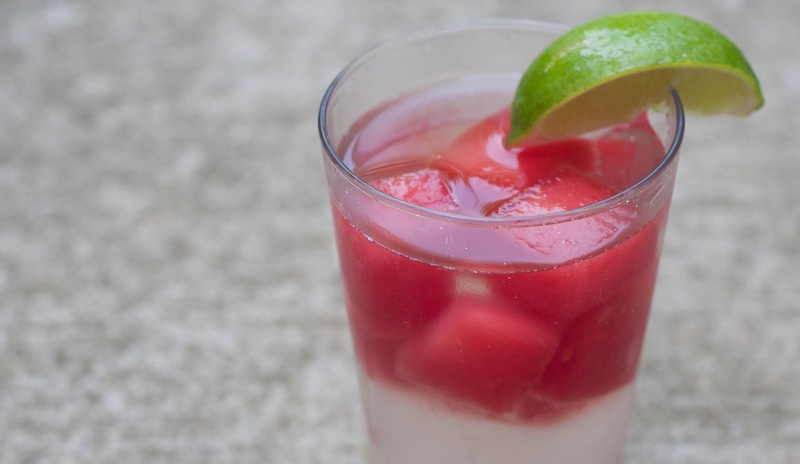 The next day grab a few watermelon cubes, pop them in a glass/bottle of water, squeeze a little lime in there and refresh yourself! Perfect. I agree. I can only drink green tea and coffee plain, nothing in it. lol, water IS different though. Great minds. I'm trying these cubes, they would be great to have in the winter doldrums while perusing seed catalogs and dreaming of warmer weather to come! PS that salanova seed is expensive!!! !